← WILL WWIII RESULT FROM A RUSSIAN INVASION OF THE UKRAINE, A JOINT RUSSIAN-CHINESE OCCUPATION OF NORTH KOREA FOLLOWING A US ATTACK, OR A JOINT RUSSIAN-IRANIAN-CHINA SNEAK ATTACK ON THE MIDDLE-EAST OIL RESERVES?——FIND OUT IN THRILLER NOVEL SPIRITUS MUNDI!—MI6′S NEW SUPERSPY ETIENNE DEARLOVE IS THE NEW JAMES BOND!——-FREE!——-GET THE SNOWDEN-CLANCY-ORWELLIAN CYBERSPY THRILLER NOVEL THAT DEFINES OUR ERA!—-NSA/CIA/MI6/WWIII CYBERTHRILLER EPIC SPIRITUS MUNDI BY ROBERT SHEPPARD FREE TO YOU DURING THE PUSHCART PRIZE GIVEAWAY CELEBRATION! To Sartorius’ mind Günter Gross was a man of paradox. In one sense he was an individualist, a great eccentric. In another sense he seemed to Sartorius a living embodiment of the universal man. He strove to realize in his human life his full potential; but he was determined, at the same time, to live in an uncompromising and unique way, though of course no one could succeed in either completely. If this meant upsetting people, as was often the case, he did not, on the whole seem to mind. “To be normally successful” he once said to him, “is the ideal aim of the unsuccessful.” He had set aside a promising medical career in a mid-life crisis of the soul, had wandered, decades before it became fashionable and comprehensible, across the globe in inner and outer searching, savouring its many cultures and the products of their diverse minds and sensibilities issuing, as he later conceived it, from the common womb of the collective unconscious of mankind, and turned to writing and literature with amazing success and depth of contribution. They had met when Gross was a laureate guest professor during a year’s sojourn at the University of California at Berkeley, and Günter befriended him and took him under his wing as a mentor in things cultural, academic and literary. When the young Sartorius was granted tenure as a full professor Günter took him out for an all night bash, toasting his success with a playful, knowing quip, making him kneel and then touching him on both shoulders with the golden Schaffer pen he always kept on his person and with which he had signed the roll as a Nobel Laureate, chanting: “Arise Doctor Professor Sartorius, arise an official member of the Guild of Whores!” Later, when they were on a more equal footing they traveled together and often stayed for extended visits at each other’s homes, occasionally collaborating and always, if sporadically corresponding, in recent times usually by e-mail. While Günter was residing in Berkeley Sartorius asked him if he would consider staying permanently in America, like others of his countrymen such as Thomas Mann and Albert Einstein, and if he was not attracted to the American Dream. Günter responded: “Well if you talk about Thomas Mann and Einstein I think that while indeed they were attracted by and admired America, the root of their emigration was less the American Dream than the European Nightmare—particularly that of Hitler. If you ask me about the American Dream though, I would have to confess only an ambivalence towards it—while I think it is a fine dream as far as it goes—a dream of freedom, self-realization and self-fulfillment—your famous “pursuit of happiness”——I think it is an incomplete dream—offering less than is necessary for the deeper life. You see the American Dream is a dream of the future, of a Promised Land, where the country and the individual becomes all that it should be, but is now not. You go forth across the Frontier and conquer the wilderness, leaving behind the old country, and perhaps society and history itself with some kind of new beginning. It assumes that this future to which you are venturing will somehow offer life’s fulfillment. But to my mind where you come from and where you will return to is more important than where you are going. Making peace with the past is just as important as rushing forward into the dream of a promising future. Where you have come from, your origin, includes those things most fundamental to healthful psychic life—–home, family, your self and your soul, that to leave them out of the dream is to risk having it turn to nightmare. Your American Dream is a fine dream of the future and the man of the future, as is your science fiction and your eternal cowboy and eternal venturing. 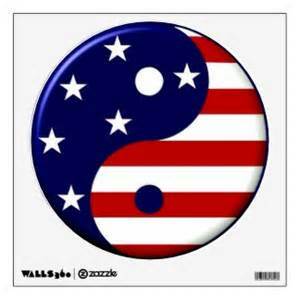 I wish to be part of the American Dream, but I am also a man of the Old World as well as a man of the New World. I wish to travel forward through the American New World and reunite again with the Old World. I admire your American Literature, but I am more at sympathy with its T.S. Eliot of the Four Quartets, the old man in the lamplight rediscovering his origins and his true self for the first time, than with your Leatherstocking and John Wayne cowboy hero on the high frontier. But, don’t get me wrong—-I am not a reactionary who wishes to throw up the great American Dream and the adventure of modernity and return to an ever so flawed past. No, I am not a man of the Old World or of the reactionary old order, rejecting your American New World—-I am rather a man of the Whole World—I want to move through and beyond your New World and your Modernity to reunite with the Old World, the world of origins, of family, of home and of history and of authentic self and psyche and soul—even revisiting the Heart of Darkness, the savage jungle cradle of our so-called African past, and I speak here purely metaphorically, before returning sane to the present to begin anew. I want to complete the global circumnavigation of our human world, its conscious and unconscious wholeness, and thus I will not settle here in your California, but I will push on to complete the Magellantic voyage. I have a bone to pick with this American Dream. Yes, I think it is a fine and inspiring dream. But I think it is also an immature and incomplete dream. In a sense the American Dream is an extroverted and youthful dream of a bright and inspiring future. It is the Dream of Morning in the life of man, and a fine dream for inspiring a strong and vigorous life in reshaping the world. But in the larger sphere of life, we must include not only the Morning of Life, but also the Evening of Life. Instead, I am attracted to the Universal Mythic Dream. A man’s life includes success within the world, subduing the world to his will and building a civilization out of the wilderness, yes, but it also includes decline, growing old and death, along with reconciliation with nature and the past, with soul and the spirit. This also includes and implies the inner or spiritual life, which becomes increasingly important as the high noon of life is passed and we begin to face our own decline and awaiting death. Today we speak of the Environmentalism, but environmentalism cannot be limited to our relationship to the outer, physical environment. This Mythic Dream is part of the newer movement of what I term “Inner Environmentalism,” a renewal and reformation of relationship and conservation of our most vital spiritual roots and equilibrium within the psychical biosphere, to complement our renewal of relationship and conservation of the physical biosphere. The Mythic Dream is the dream of the Evening of Life and of Life’s Night, to complement the hero’s dream of success and assertion in this world, the ethos of the Morning and Afternoon of Life contained in the American Dream. Thus, the Mythic Dream is more complete than the American Dream. It sustains life not only in its growth from strength to strength in the successes of the Morning of Life but also sustains life spiritually and psychologically when individual life comes to its time of decline and death, followed by renewal. We need a dream valid for both the morning and for the evening of life, for the brightness of success, but also for the darkness of death and dissolution. It addresses not only the promise of a fulfilled future but also the vital life of the present moment and reconciliation with the past, as well as with tradition and eternity. The American Dream discovers a new continent of the future on which dreams can be built, but the Mythic Dream goes beyond it by completing the global voyage, circumnavigating the human psyche as well as the globe, a Magellantic circumnavigating of the twinned lobed hemispheres of the conscious and unconscious mind, of nature and culture, and of reintegrating them through the never-ending cycle through a return to its vital, archetypal and life-giving origins. 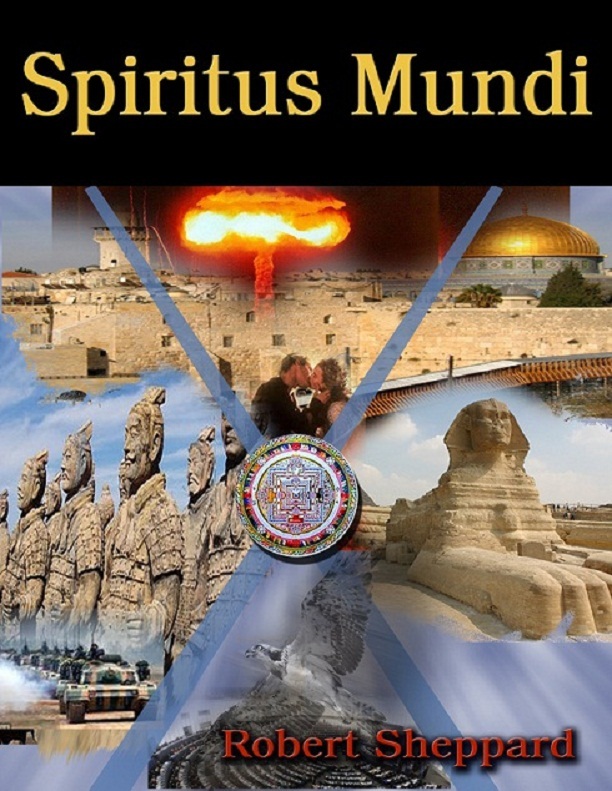 SPIRITUS MUNDI BY ROBERT SHEPPARD NOW AVAILABLE ON AMAZON! This entry was posted in Uncategorized and tagged #AmericanDream, #SpiritusMundi, #TheAmericanDream, #TheBigSelfie, America, America and the World, American Culture, American Dream, Circumnavigation of the Soul, Collective Unconscious, Jung, Myth, Mythic Dream, Return to the Soul, Robert Sheppard, Soul, Spirit, Spiritus Mundi, Spiritus Mundi Novel by Robert Sheppard, The American Dream, The Big Selfie. Bookmark the permalink. “…the American Dream is an extroverted and youthful dream of a bright and inspiring future. It is the Dream of Morning in the life of man, and a fine dream for inspiring a strong and vigorous life in reshaping the world. But in the larger sphere of life, we must include not only the Morning of Life, but also the Evening of Life. Instead, I am attracted to the Universal Mythic Dream. A man’s life includes success within the world, subduing the world to his will and building a civilization out of the wilderness, yes, but it also includes decline, growing old and death, along with reconciliation with nature and the past, with soul and the spirit. This also includes and implies the inner or spiritual life, which becomes increasingly important as the high noon of life is passed and we begin to face our own decline and awaiting death.” Gunter Gross. Thanks, Mira, for discovering and re-posting the works of Robert Alexander Sheppard! Without hesitation I state that the two books by Sheppard, THE NOVEL, and THE ROMANCE, must be appreciated by every intelligent individual on our planet. You are playing an important part in all of this by your re-posting. Bless You!